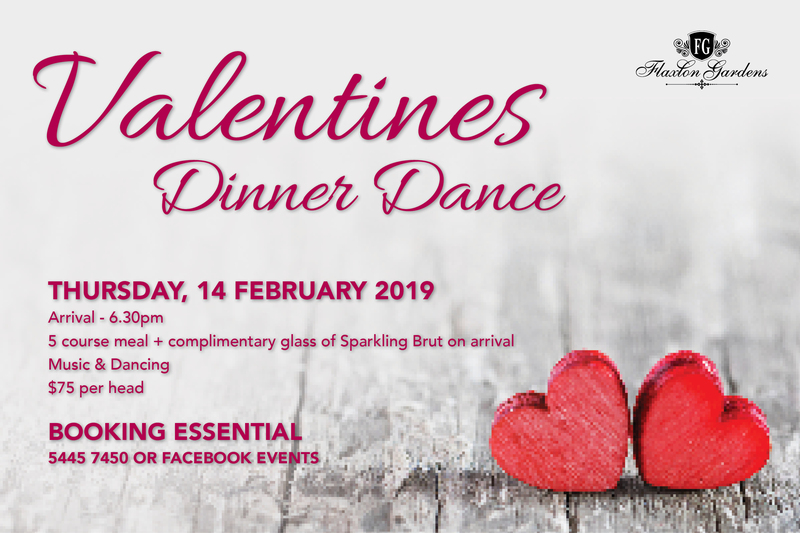 Join us for a romantic 5-course Valentines Dinner & live music by Nyssa Ray to dance the night away. Complimentary glass of Flaxton Grove Brut Cuvee on arrival. Tickets are $75 per person, including your 5-course meal, live music and a complimentary glass of bubbles on arrival. Bookings Essential – limited tickets available.